Other authors provide a snail mail address on their website. These replies take longer– sometimes up to three months, so be patient. 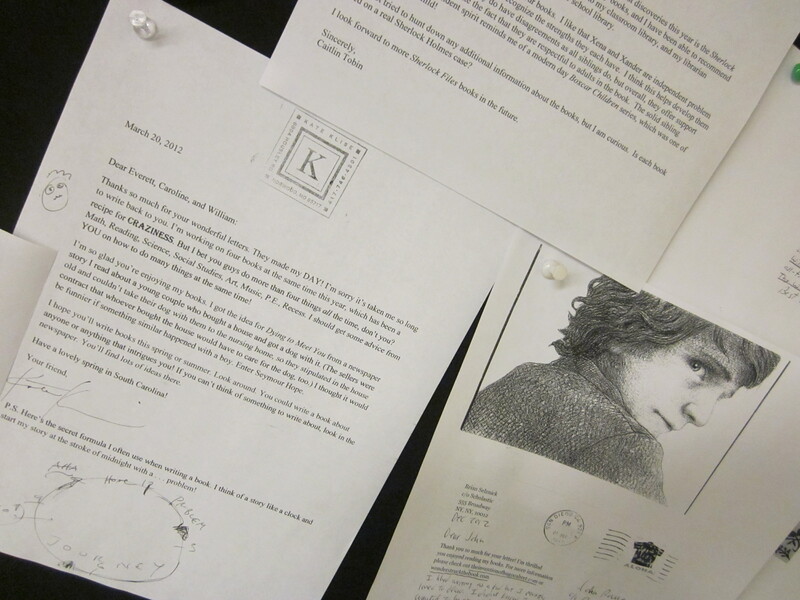 Kate Klise wrote us back twice and each letter contained different content. Mega authors like J.K. Rowling are overloaded with letters and are less likely to reply to fanmail. Other popular authors like Sharon Creech will send a generic reply if you include a self-addressed stamped envelope with your letter. No matter how you try to contact an author, it will encourage a child to reach for that next book and establish a personal connection with a writer. To download free student materials for this activity from TpT, CLICK HERE. Oh my gosh! Thank you. I am totally thrilled and this is such a great way to end the evening. I will be linking and tweeting and liking all day tomorrow.